The Ordinary Life of an Extraordinary Girl: What can you buy for $2.99? What can you buy for $2.99? 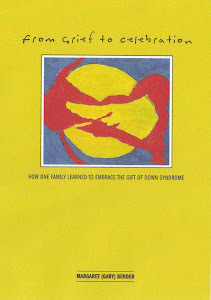 And the answer is.....a kindle copy of our book - "From Grief to Celebration, How One Family Learned to Embrace the Gift of Down Syndrome. We have sold thousands of copies all by word of month, please share your voice, you will not be disappointed. Read the following review and if this is for you - you will find the kindle link below. The deal expires on September 20th at 6 PM. What makes this book additionally noteworthy for parents with and without children of special needs, is that Gary allows us to see how universal the experience of parenting truly is. 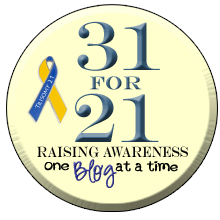 In other words, I found Gary to be not only an advocate for parents of children with Down syndrome; but also, she helps us recognize and remember the individual needs of all children. In a particularly moving segment of the book, she shares the feelings of Alex's sister and brother. Her sister's college essay is well written and very moving. The book--a quick read--is organized according to a list of verbs that Gary believes has defined their experience. As the title suggests, the verbs begin with "Grief" and culminate in "Celebration." The verbs she uses, numbered from 1-10 plus the bonus, are relatable to parenting and, frankly, life in general. I give this book my highest recommendation. "From Grief to Celebration, How One Family Learned to Embrace the Gift of Down Syndrome"